ISLAMABAD, Jan 31 (APP):Pakistan has conducted another successful launch of short range surface to surface ballistic missile “Nasr” as part of Army Strategic Forces Command training exercise which included quad salvo on 24 January and single shots on 28 & 31 January, 2019. 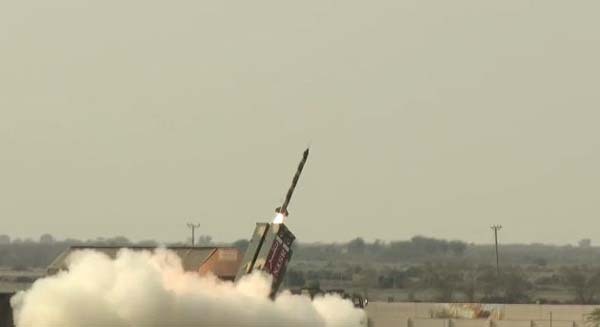 According to Inter Services Public Relations (ISPR), the 2nd phase of this exercise was aimed at testing the extreme in flight maneuverability, including the end flight maneuverability; capable of defeating, by assured penetration, any currently available BMD system in our neighborhood or any other system under procurement/development. the successful launch of Weapon System. engineers and the participating troops on their outstanding achievement.